High-street clothing retailer Harvey Nichols has called time on its 17-year relationship with Adam & Eve/DDB (and DDB before that). Campaign recalls five of the best ads, which include two Cannes Grands Prix winners. The tongue-in-cheek Christmas campaign film aimed to show how women can avoid the embarrassing walk home after spending the night at someone else's house by shopping at Harvey Nichols. The spot was designed to show how the retailer has "everything you need to walk home with your glamorous head held high" and avoid the "walk of shame". The video was written by Mike Crowe and Rob Messeter, and directed by James Rouse through Outsider. The follow-up to "Walk of shame" focused on another hazard of the festive party season: wearing the same dress as someone else. Shot by the directing duo Ne-o through Stink, the 90-second spot features a stand-off between two women who encounter each other wearing identical outfits at their company’s Christmas party. The film culminates with the line: "Avoid a same-dress disaster this season. Harvey Nichols womenswear." It was created by Mike Crowe and Rob Messeter. Outgoing group chief creative officer Ben Priest said this was one of his favourite ads at Adam & Eve. It also won the agency four Cannes Grands Prix in 2014. 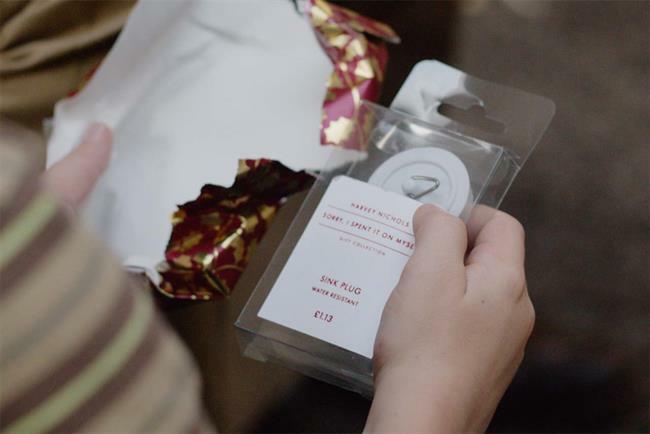 It's another Christmas campaign, this time encouraging consumers to abandon thoughtful giving and spend as much as possible on themselves. The work was written by Daniel Fisher, art directed by Richard Brim and directed by James Rouse through Outsider. This effort won the agency two Grands Prix in Cannes in 2016. The film, which used real footage to show shoplifters getting their comeuppance, was created by Ben Stillitz and Colin Booth, with cartoon faces added to the footage by Layzell Bros.
To celebrate Vogue's 100th anniversary, a print ad featured the first 100-year-old model to appear in Vogue. Bo Gilbert, who was born in 1916, appeared in the June issue. Adam & Eve/DDB created the campaign to tackle ageism in the fashion industry and promote the retailer’s "attitude and willingness to do things differently". Created by Laurence Quinn, the campaign was shot by renowned fashion photographer Phil Poynter, who founded Dazed with Rankin and Jefferson Hack.